[Translation] ARASHI DISCOVERY 15JAN15 WITH OHNO SATOSHI ~ . 2015.01.15 AD - Victory hides weaknesses. "Victory hides huge weaknesses, nevertheless the winner should open their eyes wider." This is a quote by Brazilian former football player who played in the J-Leagues and current head coach of Brazil, Dunga-san. When you lose or fail, you may often reflect upon it but when you win or succeed, you should also look back on things. I see. That’s right, it’s important. Well, but once you grow up, you don’t really… All this winning and losing business, if you don’t do any sports then it doesn’t really crop up. Naturally in sports it’s important to think that way. 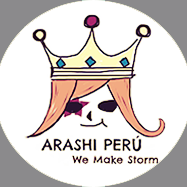 It’s important in VS Arashi and all. Surprisingly. In VS Arashi, naturally, once you get complacent, you get a horrible score. Mm. (laughs) When you get complacent or when you win, too. At the end there are times when (the losing team) has a sudden turn-around, right? Those are exactly the right words for it. So it’s kinda, well, we’ve been doing it for several years now. So Arashi’s kinda gotten complacent, too. Then we just immediately lose. It’s tough. But man, you can say this about various things. This isn’t just limited to sports. For me, in art and stuff… if I say, "Ahh, I drew so well!" or something, I’d think, "There’s more I can do somewhere, isn’t there?" Often, artists would complete a piece in a shot. There are people who gradually progress along (over a period of time) too. I don’t really do that. It was drawn at that time, so well, I might not be able to start work on it anymore. Honestly, when I paint in oils or something… Then there are times where I look back at it, right? Especially, well, there’d be this one same place that I’d want to do again, frankly. It’s just that, it’s not a matter of fixing it but rather just wanting to add to it. "Hmm…" I’d be agonising over it now. It was from that time, so well, my current self might be better off not starting work on it again, I guess? But I’d want to do it! What should I do? I want to add glasses on the person’s face. Red glasses. And then about half the face - the right side - it’s still kinda… there’s all sorts of colours in it. It’s become kinda sketchy. And then generally the left half is skin-coloured, so like it’s kinda got a realistic feel to it. The glasses would be red on both sides, so that’s kinda… The glasses would… be the same, so it might be good. But I kinda feel like I just want to do half of it as well. Which would be better? This is a little… I might want to take a majority vote. (laughs) Please tell me! So according to your artistic sense, folks, tell me whether I should draw that or not. This’ll be depending all of you! (laughs) I’ll give it about a week from now. Open for submissions. So it’ll be up to you! I’ll depend on you!